Anyone who’s ever been to Toronto will be able to tell you all about its fantastic food, cultural melting pot, and amazing sights — which are all well worth seeing. But what if you’ve already been to Kensington Market and Downtown Toronto and Nathan Phillips Square and the CN Tower? What if you’re hoping to head off the beaten path and experience some of the less typical parts of Toronto? With its long, complicated history, the unique populace, and deep roots to Canadian pop culture, there are quite a few parts of Toronto that go underrated. Toronto belongs to the most interesting places to visit in Canada. Toronto has a surprising amount of supposedly haunted places. To hit them all you might need to go on a tour or two, but a sampling includes the Lower Bay Subway Station, Hockey Hall of Fame, Osgoode Hall, Royal Conservatory of Music, and multiple buildings at the University of Toronto. While many of these places are known as typical attractions, if you’re looking for a more spiritual experience, try seeing them at night or ask locals about their own ghostly encounters. Not only will you find block and block of amazing street art from murals to graffiti throughout Toronto, especially in the Chinatown area, but you’ll also see art on Toronto’s neighborhood watch signs. Artist and Toronto resident Andrew Lamb took it upon himself to update faded and defaced signs with pop culture icons from the 80s and 90s. They’re hard to find because the city will occasionally take them down and replace them, but that only makes finding them all the more fantastic. Thousands and thousands of visitors travel to Toronto and never even realize that Toronto has a chain of the island right across on Lake Ontario. While they all can be classified as underrated, the most underappreciated part might be Gibraltar Point Lighthouse. It’s the oldest existing lighthouse on the Great Lakes and one of the oldest buildings owned by Toronto. Although it’s been deactivated for the last 60 years, you can tour the inside, and the surrounding area is quite serene and secluded. The lighthouse, like much of Toronto, is also said to be haunted. If you’re a fan of Bryan Lee O’Malley’s Scott Pilgrim, you’ll be delighted to know much of the series’ locations are inspired by real-life places in Toronto, from Casa Loma (one of the only castles in North America and a frequent film location) and Baldwin Steps to Lee’s Palace and Pizza Pizza. Fans of the Harry Potter universe also have some places to visit. Found in Parkdale, Curiosa: Purveyors of Extraordinary Things offers customers Harry Potter-inspired merchandise from cauldrons and robes to art prints and patches. Although the series heavily influence it, you don’t need to be a fan to enjoy the massively detailed décor. Curiosa, curiously, is also just a short walk away from The Lockhart, a Potter-inspired cocktail bar that’s good for a drink, a bite to eat, and the occasional trivia night. They also offer drink specials inspired by other pieces of fiction, including Doctor Who, Star Trek, and Watchmen. Although it has free admission, its limited hours of operations keep the Cloud Gardens Conservatory’s visitor logs thin. Whether you’re an exotic plant connoisseur or just appreciate a reprieve that is this urban oasis, it’s well worth taking an hour out of your afternoon to visit the Conservatory on Temperance Street. Toronto’s not only popular with laypeople; actors and celebrities from both the A and B-lists frequent Toronto for its film (and food) festivals, in addition to the man celebrities stars who call Toronto home. If you’re hoping you’ll be fortunate enough to run into Sarah Polley, Gael Garcia Bernal, or Adam Sandler, spend some time in the Financial District, lounges like The Drake and bar, upscale restaurants like Sotto Sotto, and TIFF Bell Lightbox, (especially during festival time). Ever walked past half a house? Now you can. On Saint Patrick Street, you’ll find an over 100-year-old half of a house. It’s an architectural oddity and tribute to a questionable land holdings deal and a skilled demolition team. You can’t tour the inside, as it’s privately owned, but it’s still a treat for you and your Instagram. After visiting the Saint Patrick’s halfway house, head to Day Avenue to see architect Arthur Weeden’s 312 square-foot Little House. There’s not as much history to go along with this oddity, other than Weeden’s penchant for clever land use. Toronto is home to several auto manufacturing facilities and produces hundreds of thousands of vehicles that are traditionally considered ‘All-American’ cars. Models like the Dodge Charger, Dodge Challenger, Chrysler 300, Chevrolet Silverado, and several others to name a few. Even some famous Japanese cars are made in Toronto like the Honda Civic and Toyota Corolla. Go Toronto! If you’re interested in seeing and experiencing any of these sights or activities, start an itinerary and get going! 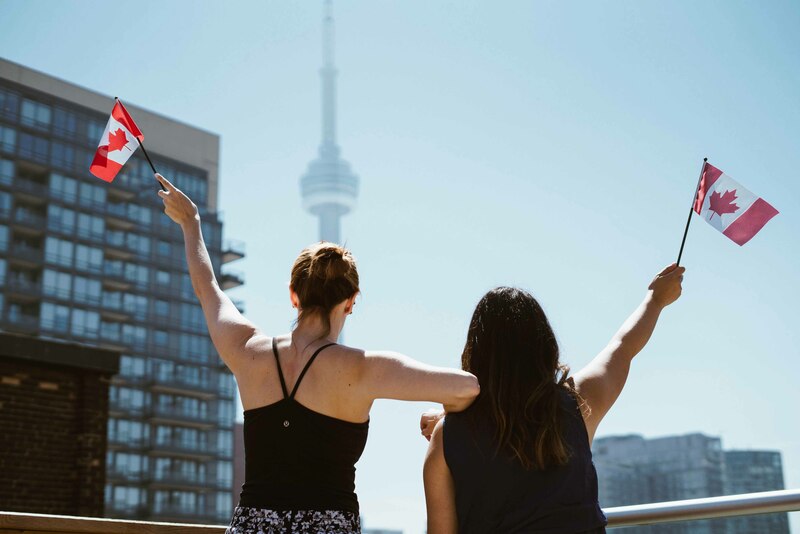 If you’re looking for more aspects of Toronto to fit in for your trip, here are more things to do in Toronto!